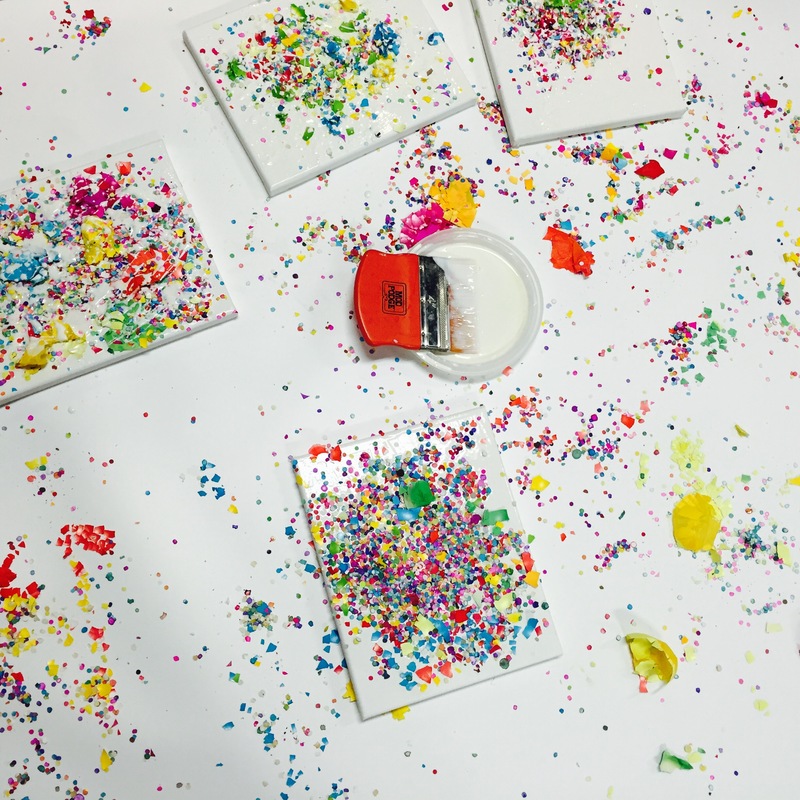 After the Wee Warhols did the confetti egg stomp, we covered canvases with a thick layer of Mod Podge Hard Coat glue/sealer. 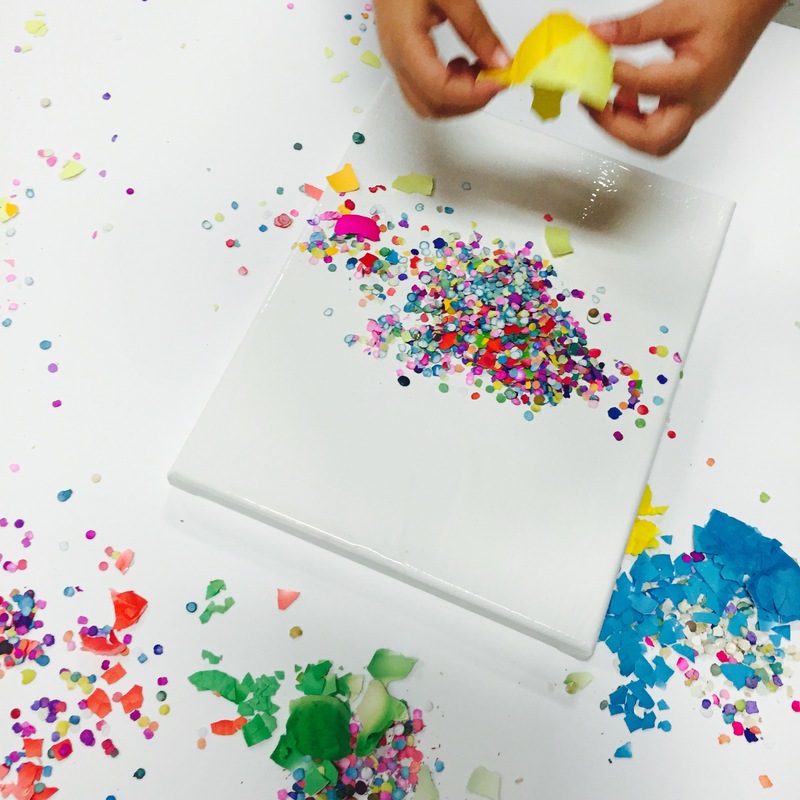 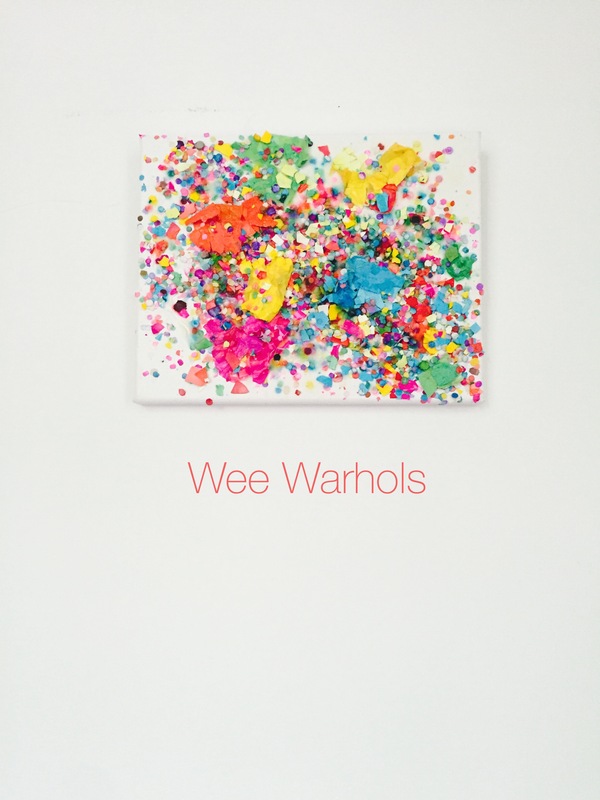 The Wee Warhols decorated their sticky canvases with the colorful confetti and eggs. 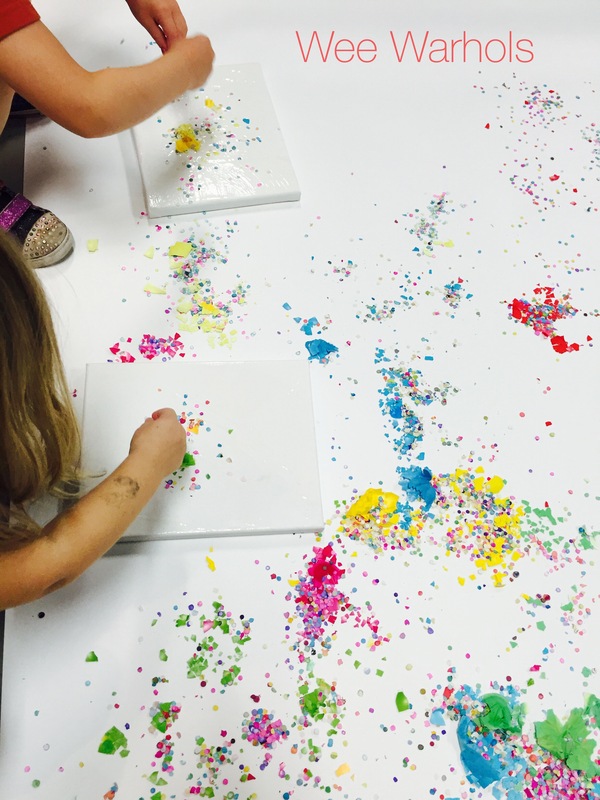 To help seal the fabulous textures to the canvas we dripped more Mod Podge over the top.